I read this amazing books a few weeks ago, and if you read my last post you will already know I am a terrible blogger who can't keep up with the amount of books I read...but I LOVED this book. I made a comment on Instagram about reading the right book at the right time, and that's what happened with this one. I have just binge watched the first two seasons of Nashville (This is relevant due to the Dolly connection...) and then there's Friday Night Lights which is one of my all time favourite TV series, so I am a little bit in love with these parts of the world, namely Tennessee in the case of Nashville and Texas in the case of Friday Night Lights and the wonderful Dumplin'. 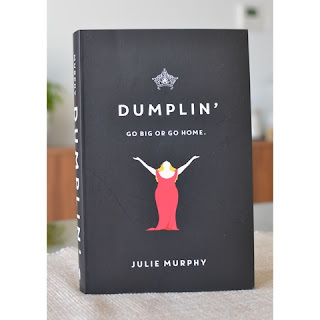 Self-proclaimed fat girl Willowdean Dickson (dubbed "Dumplin'" by her former beauty queen mom) has always been at home in her own skin. Her thoughts on having the ultimate bikini body? Put a bikini on your body. With her all-American-beauty best friend, Ellen, by her side, things have always worked . . . until Will takes a job at Harpy's, the local fast-food joint. There she meets Private School Bo, a hot former jock. Will isn't surprised to find herself attracted to Bo. But she is surprised when he seems to like her back. 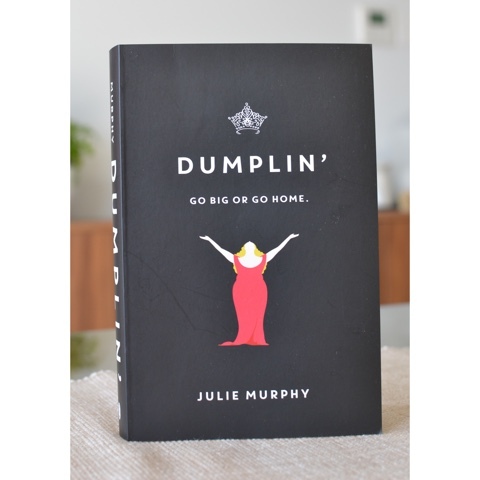 With starry Texas nights, red candy suckers, Dolly Parton songs, and a wildly unforgettable heroine—Dumplin' is guaranteed to steal your heart. If watching Nashville made me go and download the soundtracks and play on repeat, this book made me download Dolly Parton's Jolene, play it loud and sing it at the top of my voice. It's a book that makes you want to stand up and cheer for Willowdean. One of the good things about Willowdean as a character is that while she is at home in her body (something we should all strive to be no matter what size we are) she is still human. While she may not have body issues, she still has to deal with universal issues including boys, friends and family, generally surviving being a teenage girl. I will admit now that I did not read Julie Murphy's first book Side Effects May Vary, but it now at the top of my TBR pile.